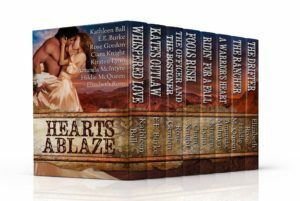 I’m delighted to be part of a multi-bestselling author publishing project, HEARTS ABLAZE, a collection of eight Western historical romances set during the autumn months and blazing with passion and adventure. This limited time boxed set is available for just 99 cents. When the eight of us first came together to work on this project, we quickly realized we had something very special–a collection that represents the varied and vibrant tapestry of the Old American West. 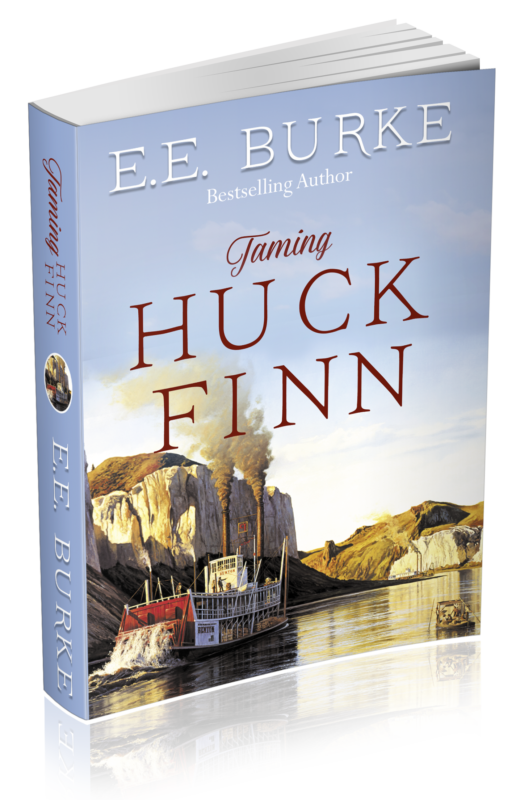 From the wild Pacific forests to the lonesome prairie, on wagon trains and at frontier outposts, you’ll fall in love with lumberjacks and soldiers, trailblazers and trick riders, courageous warriors and rugged cowboys. For my part, I’ve revised and expanded my debut novella, which is featured as part of the collection. Kate’s Outlaw is a suspenseful yarn about a half-breed desperado who abducts—and then rescues—a railroad heiress. On the run from danger, with enemies on both sides, Jake and Kate seek solace in each other’s arms, igniting a love as powerful as it is forbidden. 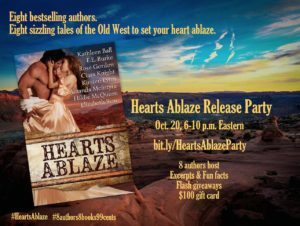 On Thursday, Oct. 20, from 6-10 p.m. Eastern, we’re rounding up lovers of Western historical romance for a big celebration on Facebook. Joining me as hosts will be Hildie McQueen, Amanda McIntyre, Kathleen Ball, Rose Gordon, Ciara Knight and Elizabeth Rose. We’ll be turning up the heat (on each other), and providing readers with excerpts, fun facts, Flash giveaways, and a drawing for a $100 Amazon gift card! 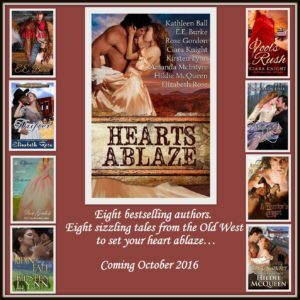 This entry was posted in Romance and tagged #8authors8books99cents, #AmandaMcIntyre, #BestOfTheWest, #CiaraKnight, #EEBurke, #ElizabethRose, #HeartsAblaze, #HildieMcQueen, #KathleenBall, #KirstenLynn, #RoseGordon, #WesternRomance. Bookmark the permalink.